Niall Quinn says Keane's decision to pull out of the squad "never sat well" with other Ireland players. 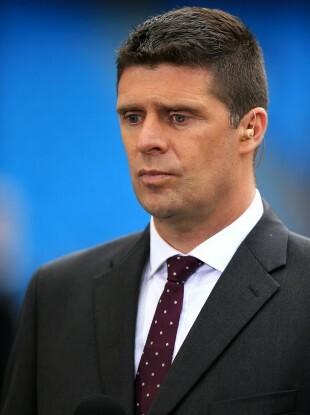 IRISH PUNDIT NIALL Quinn has risked re-opening the whole Saipan/Roy Keane argument following recent comments made by the former striker. Speaking on Sky Sports, Quinn compared the Roy Keane saga to the current arguments surrounding Liverpool’s Raheem Sterling’s fitness, with the player embroiled in a club v country row. Hodgson neglected to pick Sterling after it was revealed that the winger said he was “too tired” to represent England in their recent Euro 2016 qualifier against Estonia. And Quinn highlighted the parallels with the Irish team of the early 00s, where Keane decided not to risk his fitness for the second match, after Ireland secured a 2-0 win in the first leg of a World Cup qualifying playoff against Iran. “They have to sort the situation out rather than let it fester,” he said. “We had a similar situation in a national team get-together — the World Cup play-off of 2002. After the Irish team progressed to the World Cup finals, Keane infamously fell out with then-manager Mick McCarthy, leading to his departure from the squad in the lead up to the competition. Email “Roy Keane-Saipan debacle sparked by Iran pull-out - Niall Quinn”. Feedback on “Roy Keane-Saipan debacle sparked by Iran pull-out - Niall Quinn”.